Ninety percent of the NJMC district (District) is within two feet of the high water mark. Twelve tide gates out of a network of 42 existing tide gates are considered key in protecting the most critical and developed areas of the District. Unfortunately, most of these structures are more than 50 years old and are at different stages of disrepair. Currently, faulty tide gates are only identified because the areas they are supposed to protect become flooded. Instrument key tide gates in the District so that water levels on the downstream and upstream sides are reported via satellite phone to a central command post and accessible through the Internet. Have engineers continuously monitor tide gate functionality through the system and promptly coordinate repairs when they malfunction. Create a network of instrumented tide gates where the water level measuring hardware and communication systems are solar powered and report back via the Internet to a central post where data is managed in a database and visualized over a District map in real time. 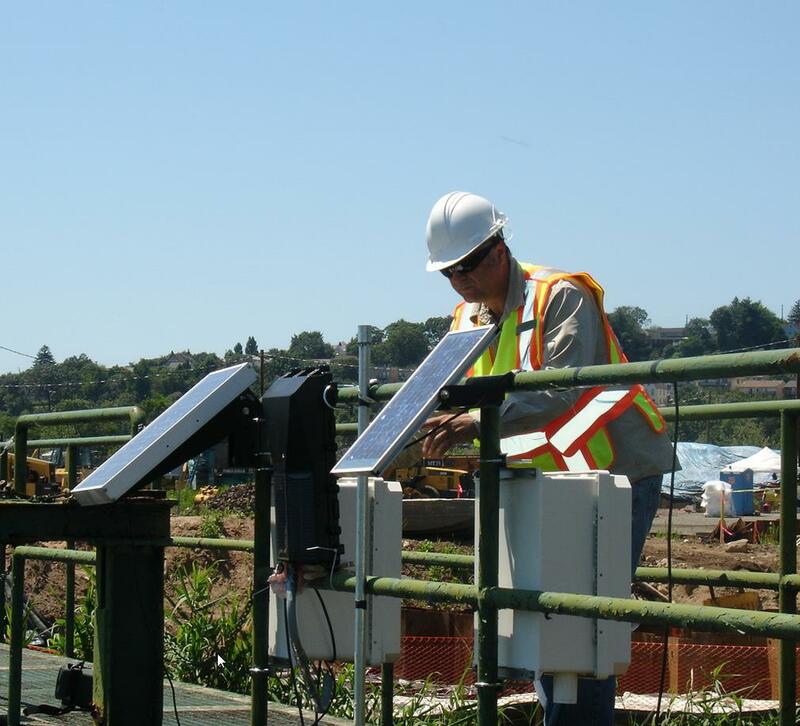 A service that operates disconnected from the local power grid and the provides accurate water levels around critical tide gates in the District in real-time which is available over the Internet so that Engineers can evaluate whether or not these critical tide gates are functioning at any moment.